Another national restaurant chain is set to make it's Oklahoma debut with two new locations in the Oklahoma City area. 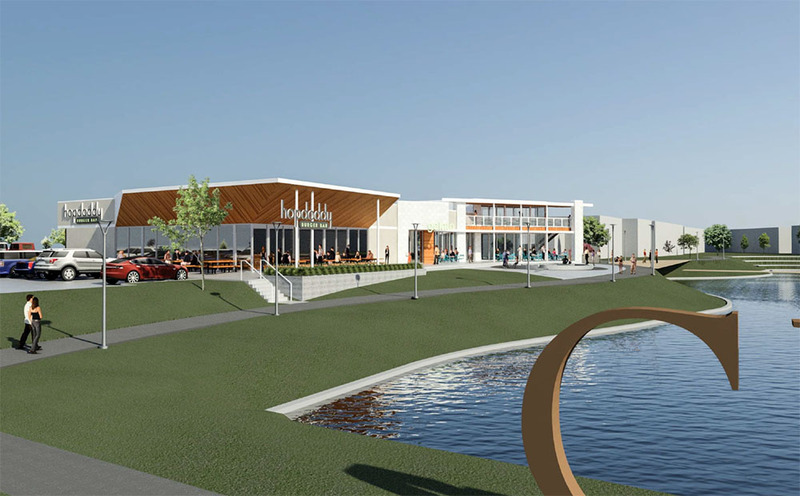 Austin-based Hopdoddy Burger Bar has plans for a location in The Pointe at Chisholm Creek and in a new building being constructed just south of Nichols Hills Plaza. 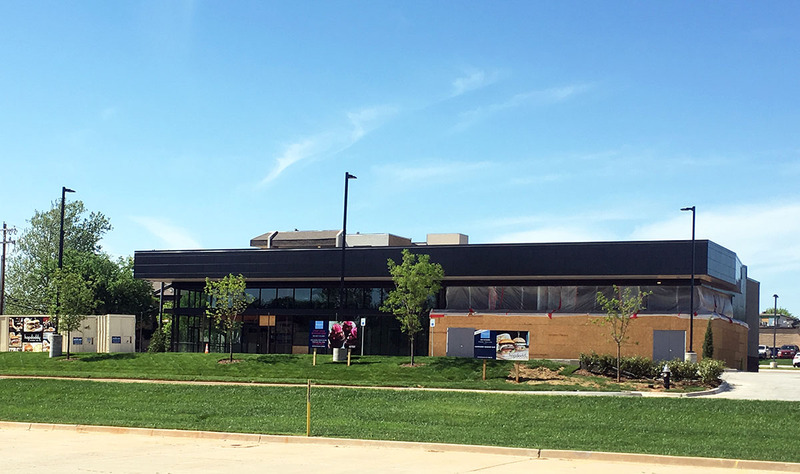 As OKCTalk reported just last week, Provision Concepts is already under construction on Birra Birra, a wood-fired pizza and beer concept to be set on the lake at The Pointe. They will also be operating a gelato and ice cream shop directly to the north. The third tenant in that Chisholm Creek building will be Hopdoddy, with Fitzsimmons Architects designing the entire exterior structure. 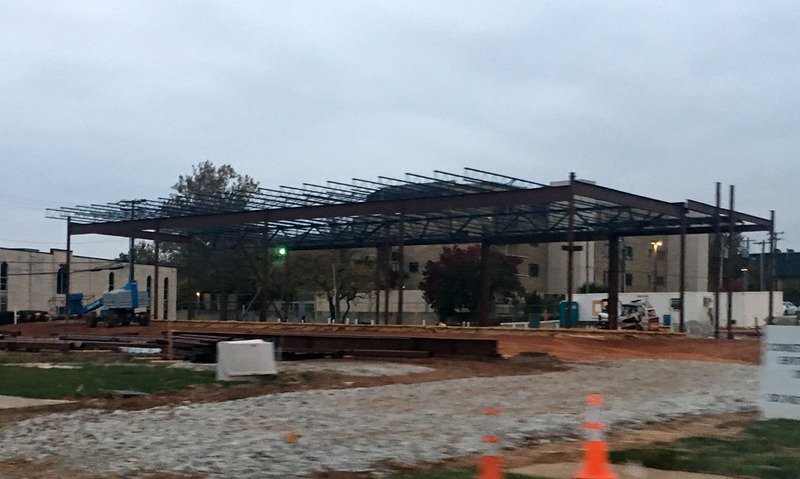 Since Chesapeake Energy sold to Washington Prime in 2014, the Ohio company has embarked on an aggressive expansion and leasing of of Nichols Hills Plaza, the Triangle and Classen Curve. The new owners have brought in Trader Joe's, Kendra Scott, Rye 51, Cos Bar, Athleta, Evereve and several more national and regional tenants that are new to the OKC market. 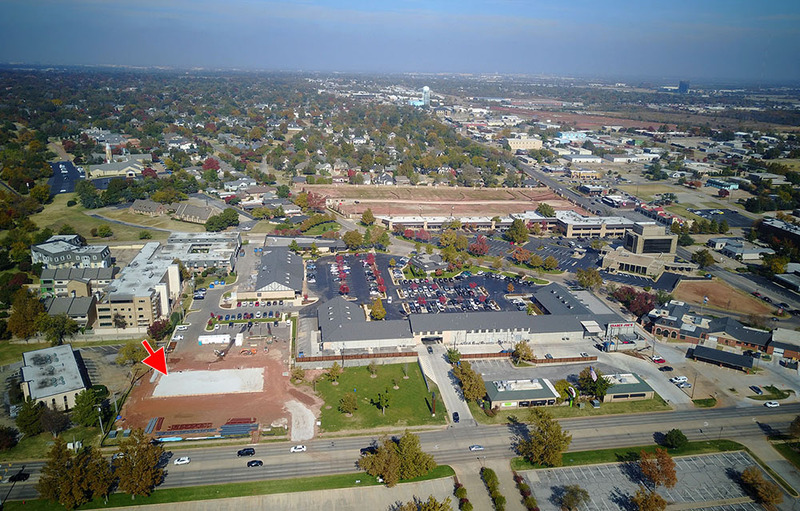 Plans obtained by OKCTalk show Hopdoddy taking the far west end of a new commercial building under construction on the north side of NW 63rd on the site of the former Kings Court condominiums. The condos were demolished by Chesapeake Energy years ago and the area has been vacant since. Future plans show a new stand-alone Starbuck's which will move from its current location in Nichols Hills Plaza. 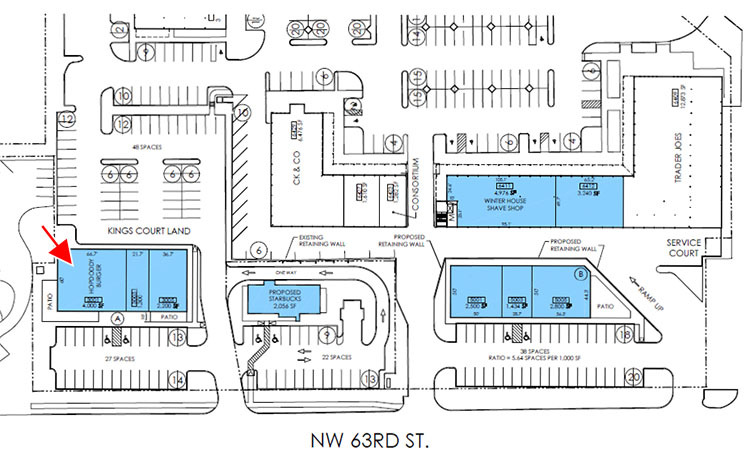 Plans also show the possible replacement of existing buildings to the east along NW 63rd which houses Mamasita's. 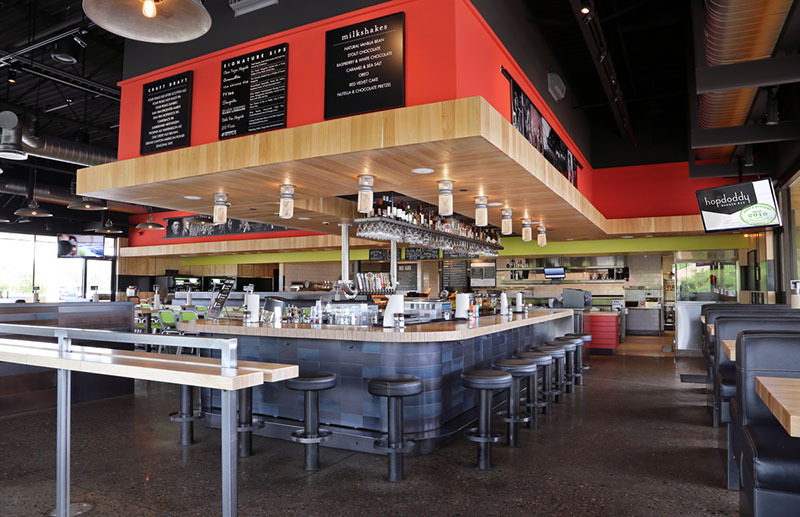 With 25 locations in Texas, Arizona, Colorado, California and Tennessee, Hopdoddy describes itself as a 'craft burger bar' with fresh ingredients, a large beer selection and an energetic vibe. The truth is never embarrassed by honest inquiry. The NH Plaza location is across from my office, and it will be really nice to have in the rotation. I consider the chain a "reasonably" priced gourmet burger, and it should do well here. Interesting to see the Starbucks is moving. I was wondering what was going to be going in there, that will be pretty good. Seems like this may cannibalize some of Republic's business. 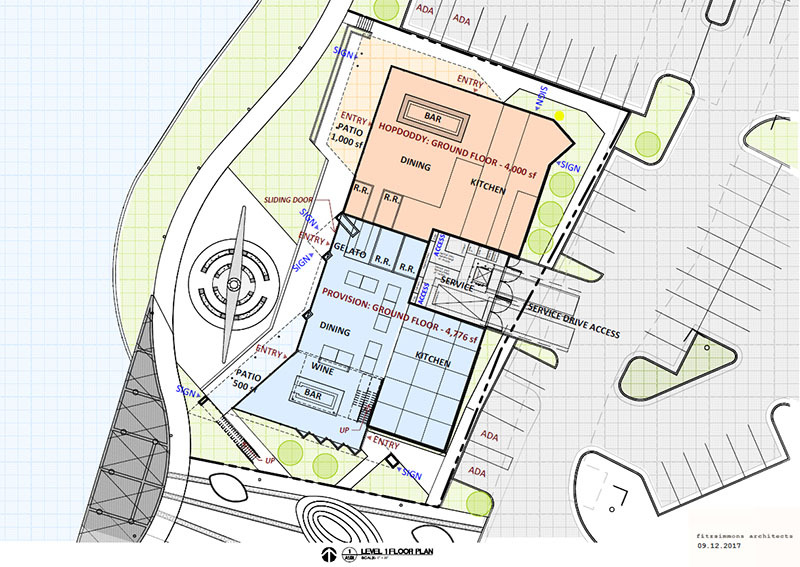 Based on the renderings, it looks like there may be some plans for Mamasita's? 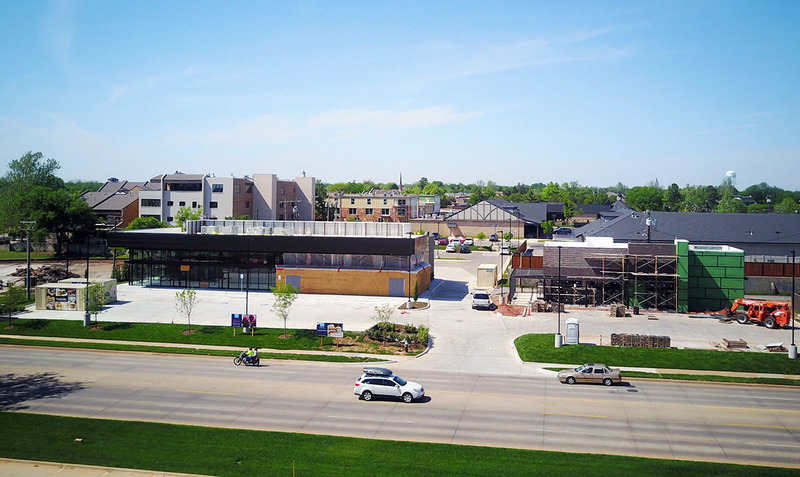 while i'm glad to see some new development here, i think i'd prefer for the structures to front 63rd and all of the parking being hidden behind them... kind of the way that mamasita's is now. There are two buildings there; one with Mamasita's and another now-empty office building. The latter was being used by the City of NH while they renovated their city hall, but they have now moved back. Mamasita's has not been updated since the 80's. I don't know how that place stays in business. I suspect Washington Prime can find plenty of tenants if they go forward with new construction on that site. Also a ton of new Asian-influenced places. The city is just growing. It's not like anyone is inventing completely new cuisines, it's all just an expansion and slight variations on the themes and types. Great news.. I do love Hopdoddy! I have a feeling Republic already did this to themselves when they opened at Chisholm Creek. And I wonder about Hopdaddy doing the same, opening two store so close in short time. Or it could be that they both still do well, just maybe not killing it like it did when it first opened. A year or two ago, my wife and I took a little overnight roadtrip to Tulsa. We met a friend of hers for lunch at a place in Brookside called, "Hopbunz." I thought the place was amazing in terms of both atmosphere and food. Then Hopbunz was gone. Why? They got sued by Hopdoddy for stealing everything that made Hopdoddy unique. And Hopdoddy won. If this place is basically a copy of what used to be Hopbunz (or vice versa) then it will DEFINITELY worth a visit. Without having to drive all the way to Tulsa. I agree with you here. I think it is crazy that there are 4 burger places in the NHP and Classen Curve area. That is not good news for Pop's because they seem to be struggling. Other than having a burger special on Tuesday, if they still have that, I'm not sure why I'd get a burger there . Well crap I forgot about Irma's! That makes that 5 burger places in that area and not 4. They had it on special before they add it soon, and Tuckers is also about to add it (or already has?). Tuckers is also about to add it (or already has?). I don't see it on their website. Count me in, though. I'm not vegetarian and I hadn't heard of this impossible burger before, but I looked it up and it seems worth a try. I'm not trying to be a smartass with this question but it's something that's always puzzled me about vegetarians/vegans and I would like to hear answers from your point of view. Why do you want food that resembles the food you have chosen not to consume? I started wondering this when the smoked jack fruit thing came along and people started comparing it to pulled pork. I've also had tofu from Loaded Bowl that was made to resemble sliced steak. Because you still want the flavor and food experience, just don't want to be part of killing animals for your meal.